Within days of Roland releasing their SE-02 Boutique analogue monosynth for $499, Behringer hit back by slashing the price of their forthcoming Behringer D. This could get interesting. Behringer have set the syntheszier community alight over the past 12 months with their DeepMind 12 and then the promise of a whole army of classic synth clones to come. The first of these is the Behringer D, which is essentially a Moog Model D clone. They’ve discussed the development with the community, talked about which features are important and stunned everyone with the projected price of “under $400”. The prototype appeared at Superbooth in April. It sounded awesome but I noted how small the knobs were in order to fit it all into a compact, Eurorack friendly space. I think that CEO Uli Behringer felt they were untouchable. 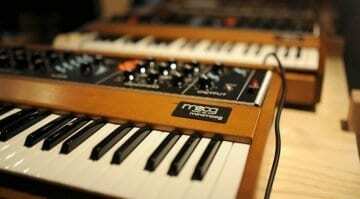 Surely no one else had the balls or the manufacturing to pull off dirt cheap clones of vintage synths. That was until the 20th June when an unexpected collaboration between Roland and Studio Electronics gave us the Roland Boutique SE-02. Designed and built by two huge names in analogue synthesis the SE-02 is a much less obvious Model D clone but one that also sports a sequencer and effects engine. This is not just a copy but it incorporates synthesizer technology from the combined minds of Roland and Studio Electronics. Does that make it more or less attractive than a straight clone? Good question – authenticity or innovation? It’s also interesting that because of the Boutique form factor the SE-02 also has small knobs, just like the Behringer D.
Anyway, the point is that while Behringer have been fiddling with the production of the Behringer D, Roland have come up with a similar product, with more features and a huge amount of heritage, ready to go for the stunning price of $499. 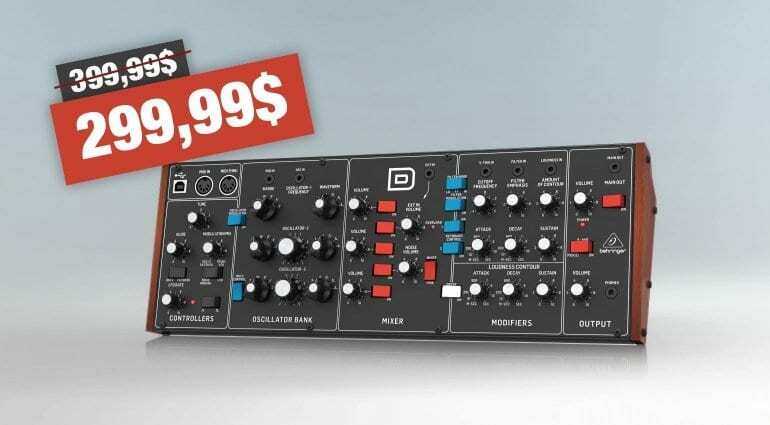 Just $100 more than the Behringer D. Less than a week later the Behringer D has dropped the pre-order price on some retailers websites (since been pulled) to an unexpectedly low price of $299 – take that Roland! $299 is a ridiculous price for a monosynth of this nature – you can hardly buy a Eurorack oscillator for that money and here’s an entire synth voice for your rack. There’s no doubt that at $299 the Behringer D will fly off the shelf, although it’s not expected until September. The SE-02 is a bit more imminent and at $499 is still a decent price for a synth modelled on a Moog that’s 7 times the price. What’s great is that us, as consumers and synthesizer enthusiasts, get to choose between two amazing mono-synths. 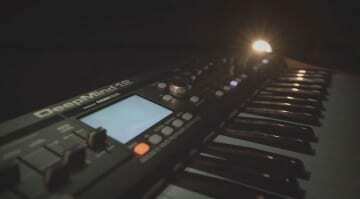 And who knows what Behringer and the Roland/Studio Electronics collaboration have in store for us next? Competition is always a good thing, and this one is hotting up. 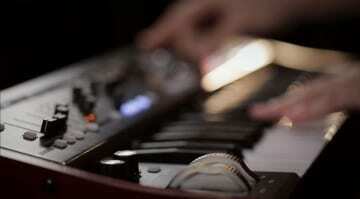 New Behringer analog keyboard – what the heck is it? Behringer DeepMind 12: Pricing and availability announced! Sweet water doesn’t even sell the Behringer D…. hello! How to sell something, that isn’t even build yet? They were at the time of writing – it’s since been pulled. It seems that there was a ton of hype about this Model D clone, and then everything just evaporated. Even Sweetwater took down their pre-order page. I guess Roland won out with the SE-02 after all. You can’t compete with a product when one is in production and the other is merely a prototype, regardless of price. 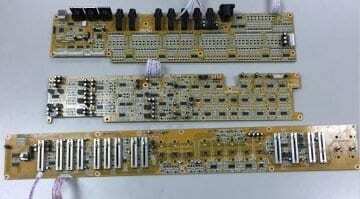 All Behringer gear i ever bought failed me multiple times, and always was too cheap to be true which at the end turned out as a failure. That said, i will buy the SE02 for sure, and never ever in my life buy a thing from uli. Also i once saw him firing a guy on an airplane ride home from musikmesse and this was disgusting to look at to be honest.